With a modern, minimalist shape and perfect proportions, the swingy new Chelsea goes everywhere with effortless style and the subtle luxury of metallic calf leather. 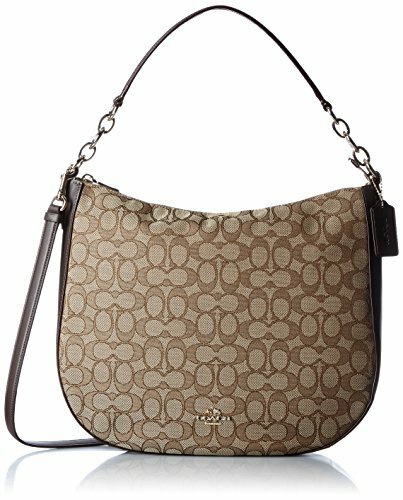 This very versatile design can be carried by the handle, slung on a shoulder, or worn hands-free as a crossbody. Pebbled leather. Inside zip, cell phone and multifunction pockets. Zip-top closure, fabric lining. Handles with 7 3/4" drop. Strap with 22" drop for shoulder or crossbody wear. Imported. Measurements: Bottom Width: 10 in Depth: 2 1⁄2 in Height: 6 3⁄4 in Strap Length: 16 in Strap Drop: 8 in Accessory Strap Length: 47 in Accessory Strap Drop: 23 in Weight: 14 oz This product may have a manufacturer's warranty. Please visit the manufacturer's website.